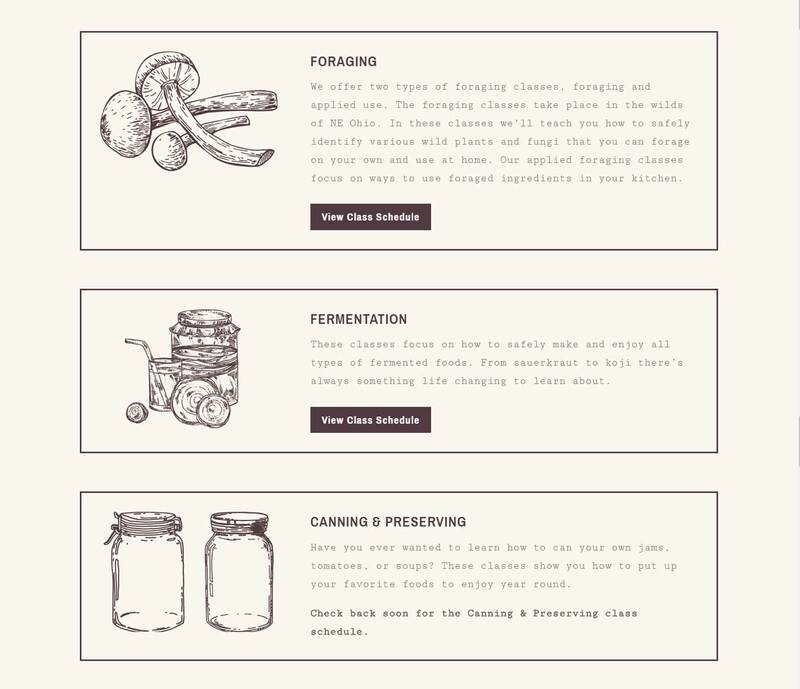 Website design for new delicatessen and bakery in Ohio City. 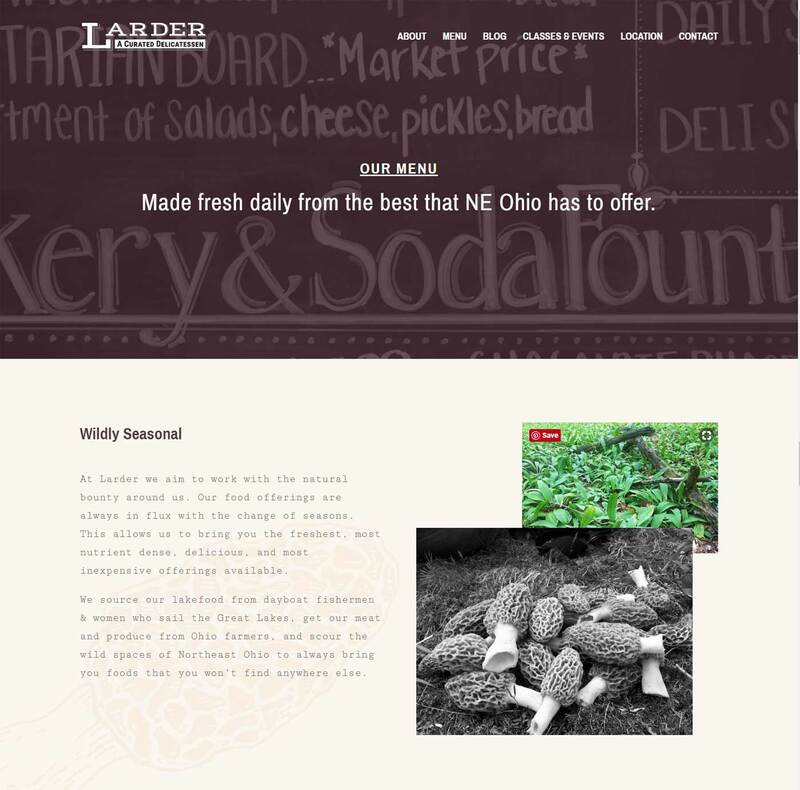 Larder Delicatessen originally came to APX Design seeking help with designing a landing page for their Kickstarter campaign. 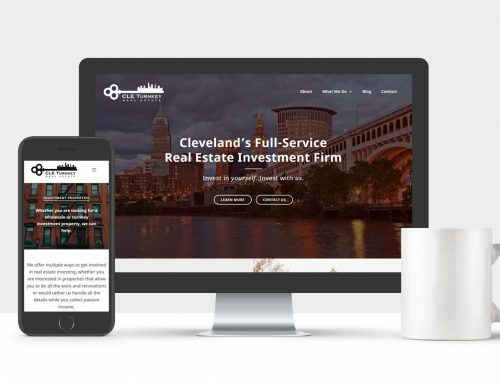 After a successful campaign in which they met their fundraising goal as well as built up their email subscriber list, they came back to have their new website designed. 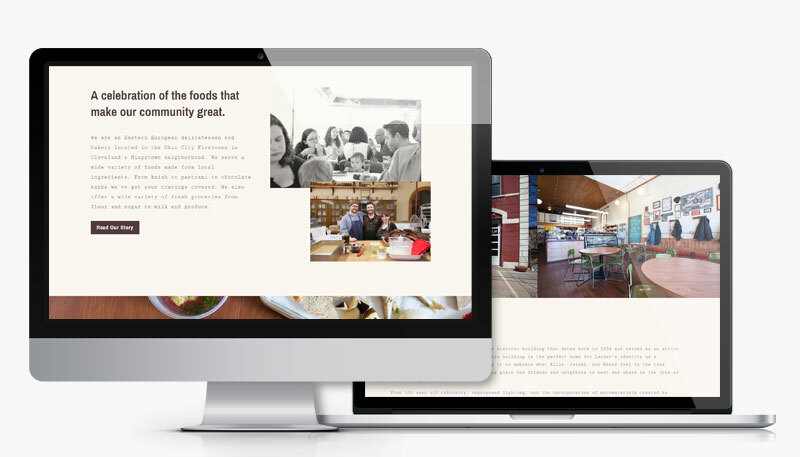 The goal for their website was to serve as the foundation for their online marketing by not only providing information about the restaurant and its menu, but also serve as a hub to promote their classes and events as well as articles and recipes written by the restaurant’s owner. 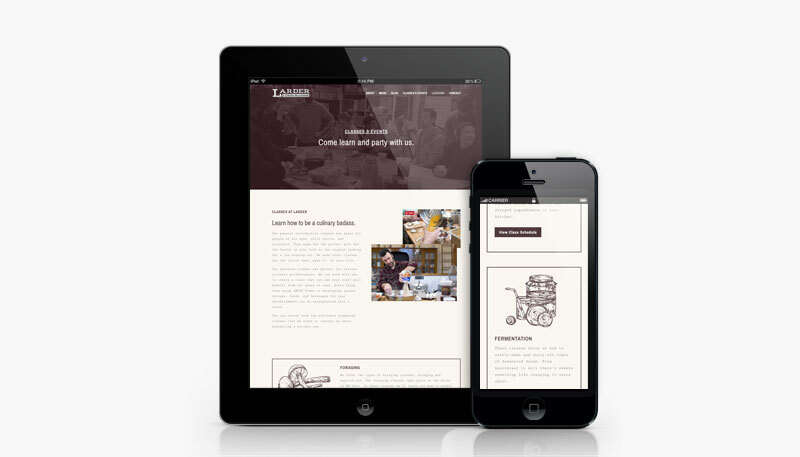 The website also needed to successfully reflect their brand in its look and tone of voice. 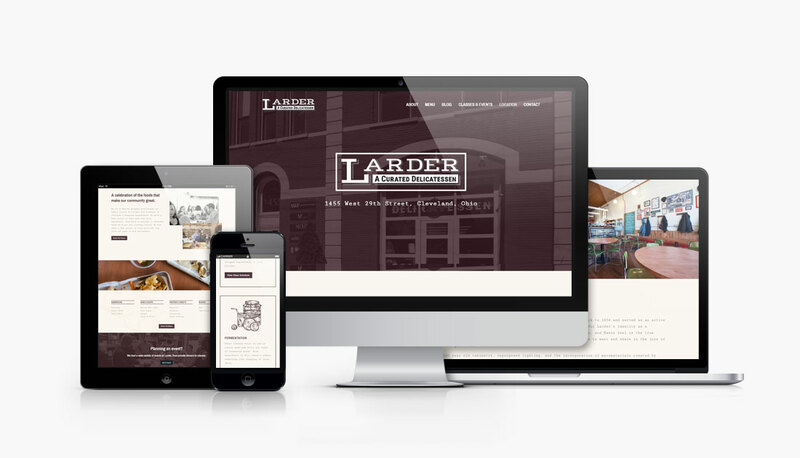 APX Design worked with the owner of Larder to create a new custom WordPress website to showcase their exceptional menu as well as a blog and event pages to promote their classes. The website’s design was created to reflect the restaurant’s brand and decor through its use photographic details taken of the restaurant’s interior and menu items as well as vintage inspired colors, typography and illustrations. The website was also developed with a responsive design to ensure that it was optimized for mobile and several best practices in SEO were utilized on each page to help improve search engine rankings. 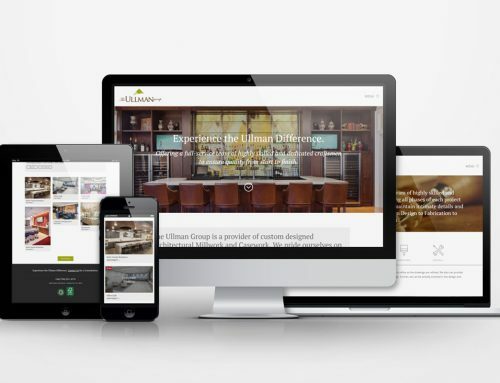 Overall, the website successfully met its goal of serving as a solid foundation for their continued digital marketing and branding efforts as the restaurant continues to promote itself through its various social media platforms, email, and content marketing. Ready to start a project or want to learn more about our process and how we work with clients? Let’s get it scheduled. Please fill out our project inquiry form in as much detail as possible and we’ll reach out to get the conversation started.